Update 29.07.2016: Check out some photos of the conference and of the region around Stavanger! Feel free to send us your photos - either directly or a link to an online album - and we will create a page to link to them. The conference will be held on campus at University of Stavanger. 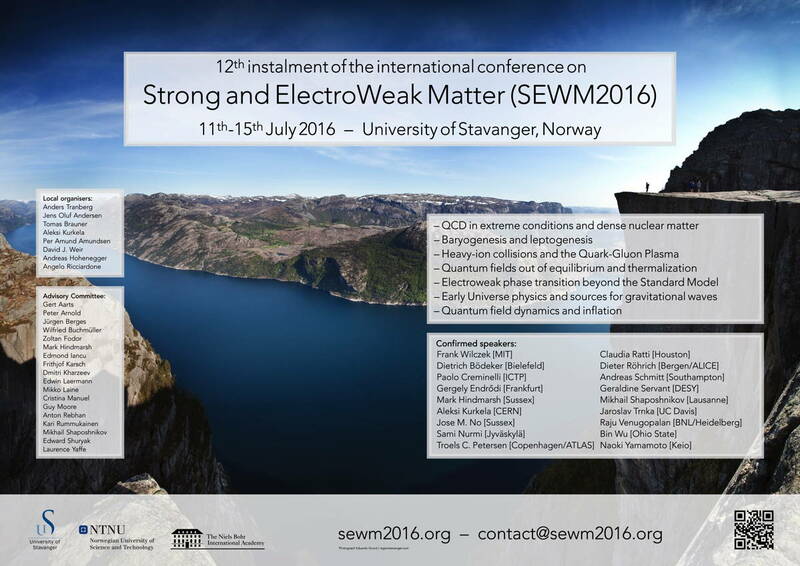 The organisers can be contacted by email at contact@sewm2016.org. You can download our poster or the timetable as PDFs.